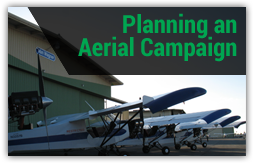 There are at least 17,000,000 reasons why NFL aerial advertising should be in your advertising game plan. First, that’s how many people attended games live in 2012. Second, there were an estimated 200 million fans who watched the game on television. In 2014 those numbers will be even bigger. Tailgating is a must for most attendees giving advertisers plenty of time for quality message exposure. Van Wagner Aerial Media has the most experience, and expertise, flying at sports events. Click below to get your free quote! One of our representatives will contact you shortly after.